My grandfather was a train driver until the day he was discovered to be colour blind, when he was sacked on the spot. 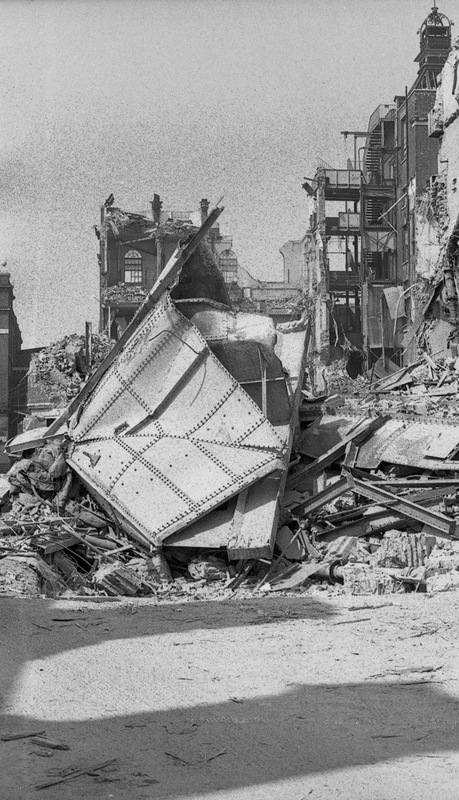 He then became a drayman and – apart from two world wars – spent the rest of his working life at the Albion Brewery in Whitechapel. He was one of the first draymen to drive a motorised vehicle, a skill which saved his life in WWI. 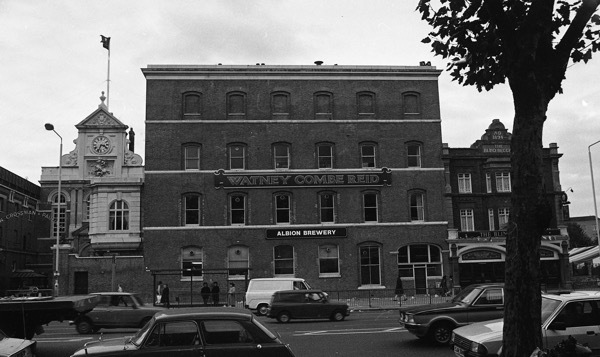 The brewery started trading in 1808 and although by 1819 it was under the control of Blake & Mann, by 1826 it was in the exclusive ownership of James Mann. 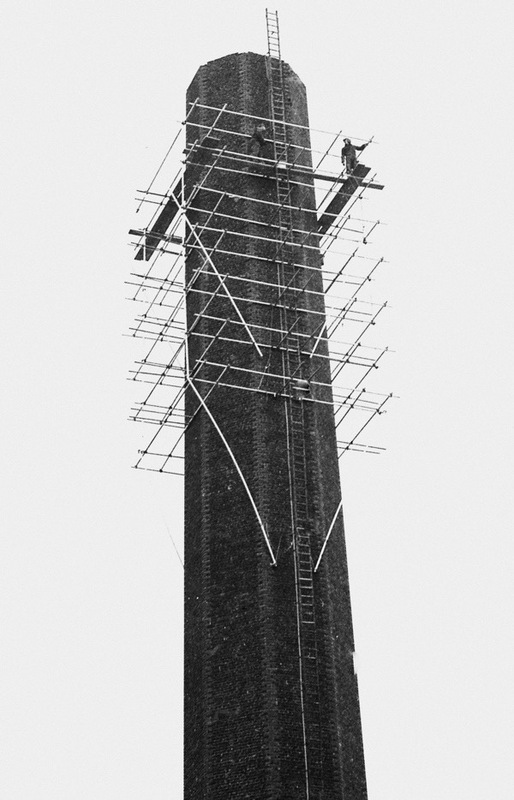 In 1846, Crossman and Paulin became partners to form Mann, Crossman & Paulin Ltd. 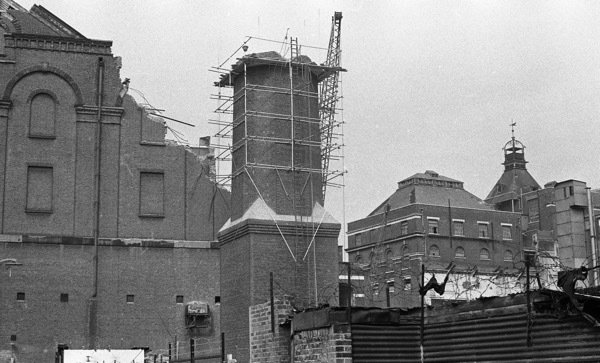 The brewery was re-built in 1863, becoming the most advanced brewery of that time, producing 250,000 barrels a year. 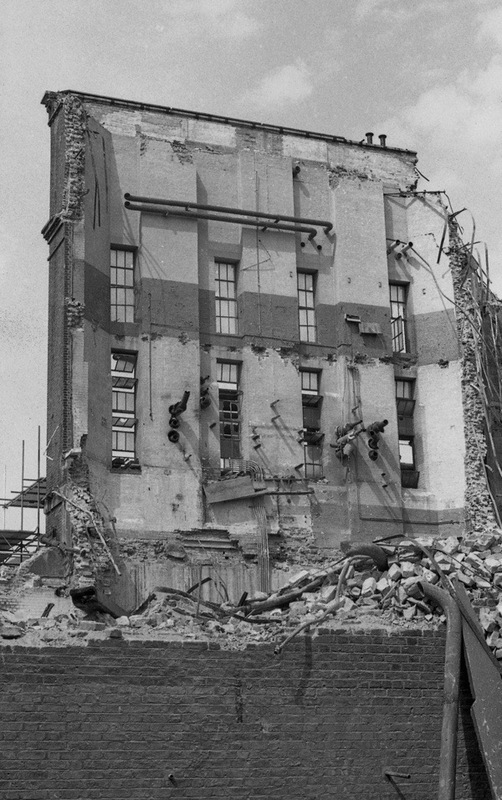 Stables were built on the east side of Cambridge Heath Rd with a nosebag room containing in excess of one hundred and fifty nosebags, each filled by a metal tube from the store above. 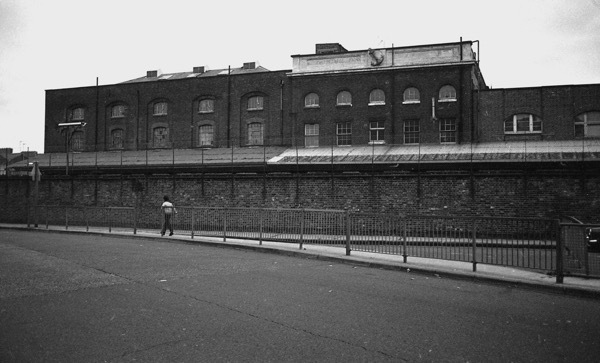 The former Whitechapel workhouse in Whitechapel Rd was used for the bottling plant, but when this proved to be too small it was moved to a site on Raven Row, two hundred yards south. 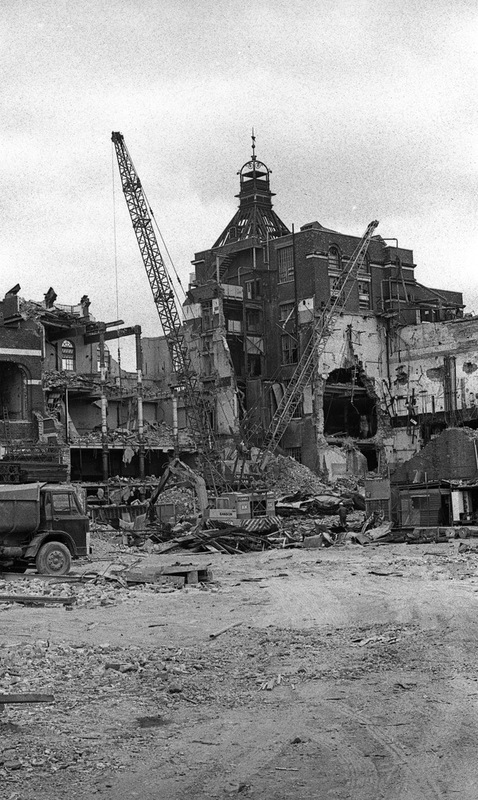 In 1958, the company merged with Watney Combe & Reid to become Watney Mann Ltd. 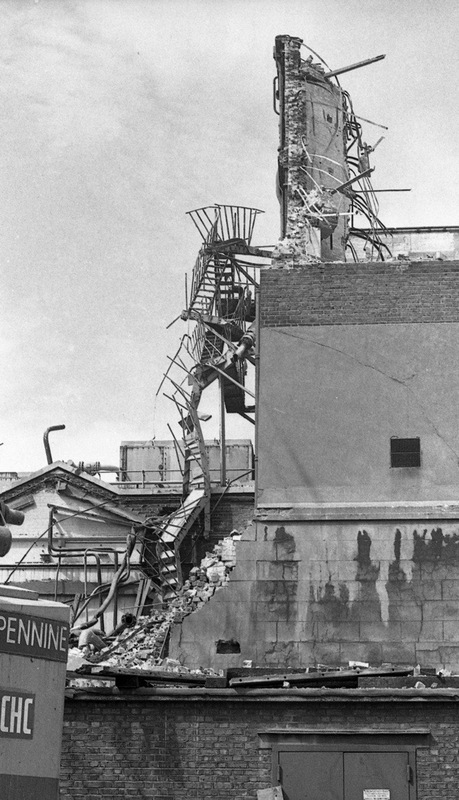 In 1978, a spokesperson for Grand Metropolitan the corporate owner who acquired Watney declared, ‘The bottling plant has a very strong future as a distribution and bottling centre for the GLC area and parts of Southern England.’ Yet the plant was closed in 1980 with a loss of two hundred jobs after the building was declared unsafe and too costly to repair. 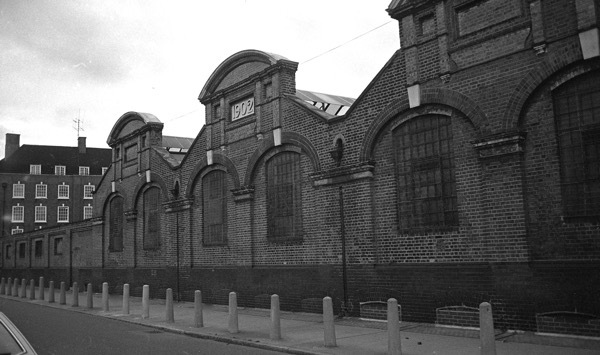 Keg filling transferred to Mortlake, the bottling plant became a distribution centre and the brewery was shut down in 1979. 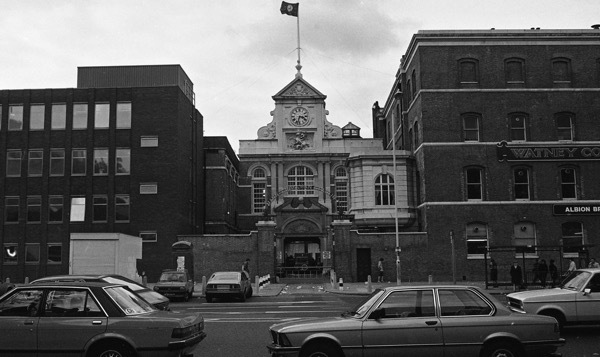 The buildings on the Whitechapel Rd were converted to flats and the rest of the site is now occupied by Sainsbury’s. In 1757, John Charrington moved his brewing business from Bethnal Green to the Mile End Rd. 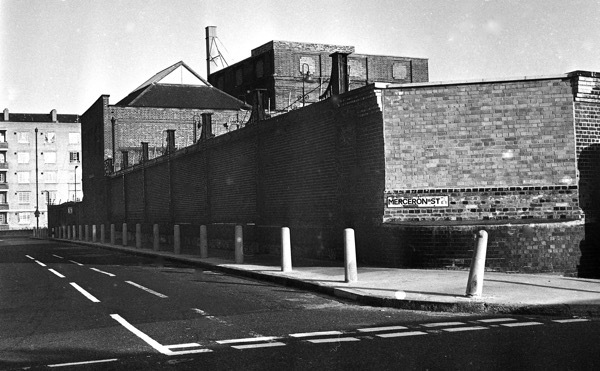 This was the Blue Anchor Brewery, and John Charrington’s brother Harry lived next to the brewery in Malplaquet House from about 1790 until his death in 1833. 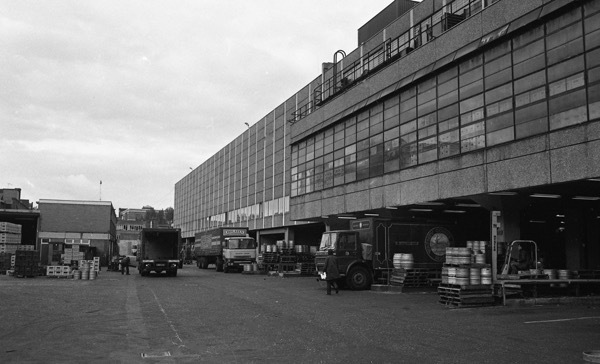 The brewery was built on Charrington Park, extending for sixteen acres behind the malt stores. Some land was sold off for building and a section was given to St. Peter’s Church, while the remainder was used for cooperages and for stables housing one hundred horses and a blacksmith’s forge. There were also coppersmiths, tinsmiths, gasfitters, millwrights, hoopers, engineers, and carpenters with a timber store and saw pit. The hop store was a spacious darkened chamber one hundred feet long, filled from floor to ceiling with hops, and the odour was overpowering. 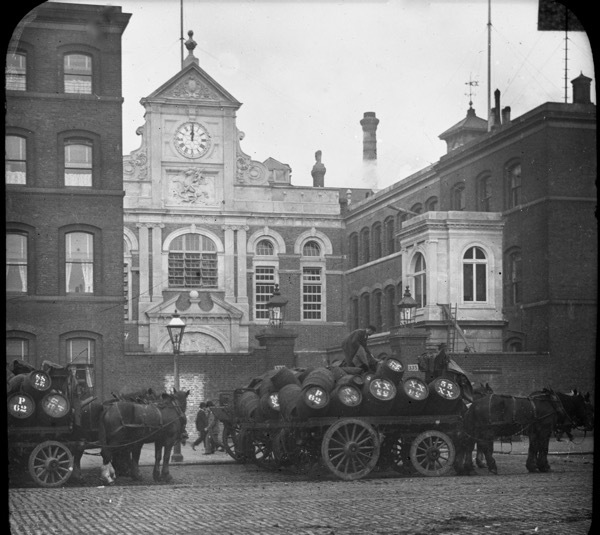 The Blue Anchor brewery became the second largest in London producing 20,252 barrels of beer a year. In the nineteenth century, steam engines were installed which ran until 1927, when they were replaced by electric power. 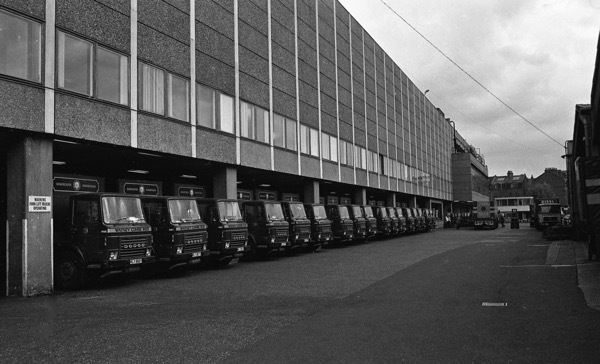 During the Second World War, half the lorry fleet was commandeered for the army. 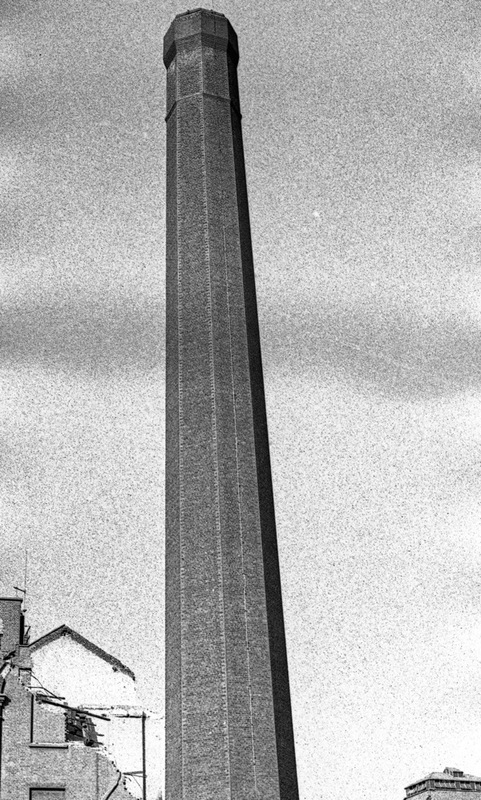 Yet in 1967, the company merged with Bass to become Charrington Bass and later Bass Ltd – the largest brewing company in the country. 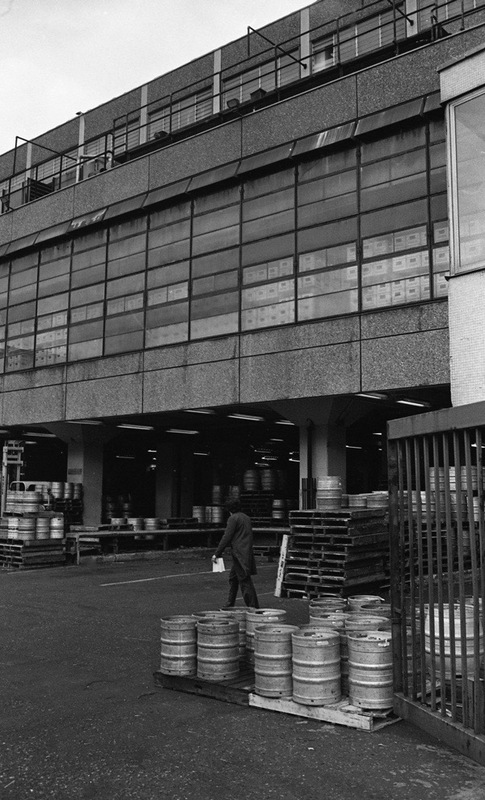 The last brew at Charringtons was in 1975 and distribution was then moved to Canning Town. 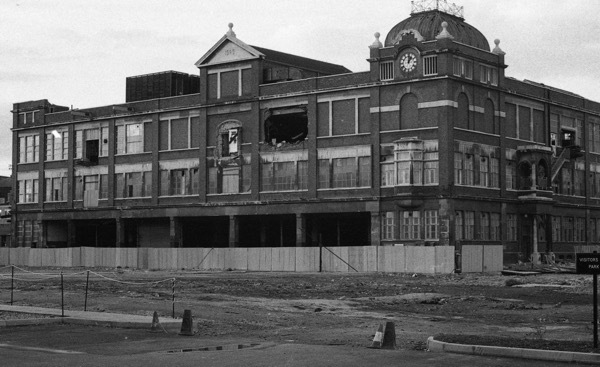 A new administration block was built at a cost of three and a half million, only to be demolished for a retail park. 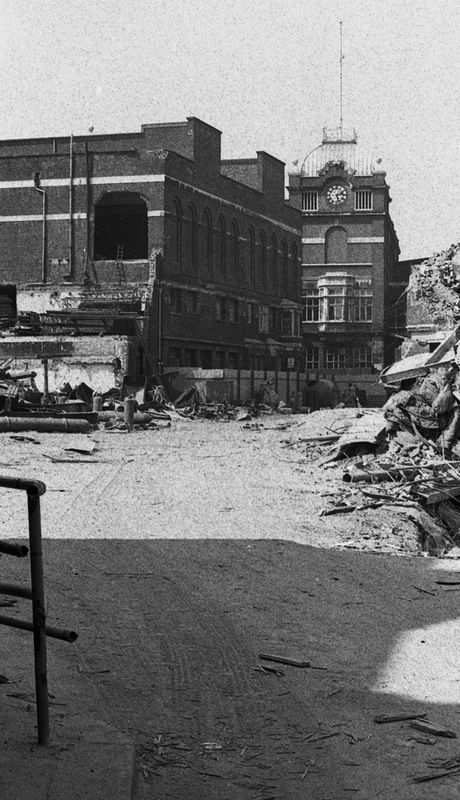 Watney’s was no use at all ( From the p.o.v. of the Beer-drinker, anyway ) but Charringtons was a sad loss. Now, the wheel has turned & it’s difficult to keep count of the number of small(ish) breweries in this part of London. All of them, with one prominent exception, brew excellent beer, too! In those early brew days of the 18000s many citizen’s drank beer for fear of cholera and other water borne diseases, water was considered unsafe. Hence a rapid expansion of brewing the present big breweries are international now, they are still expanding with a global reach, brand GB is continually being refined with good bottle names. We also import beers no brewery names mentioned one comes from Singapore. Must mention !water treatments this was to come later. Now low cost micro breweries are ascending that’s a way forward. Its beer here in a nutshell. 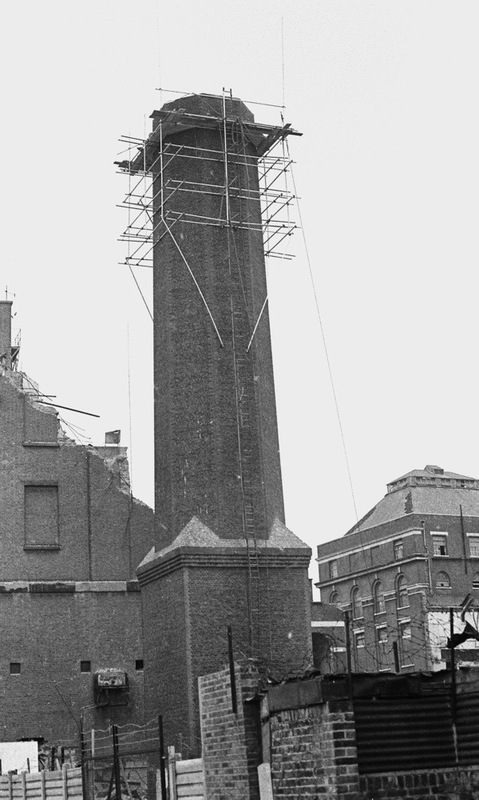 Poet John PS – I liked the photo of the draymen and their huge carthorses at the Albion Brewery. They had to be tough to handle those big barrels with their long leather aprons, no keg nonsense then. Of course, there was a daily beer allowance perks of the job, they did have to keep their strength up. When loaded up they could seen delivering on the streets of the East End. 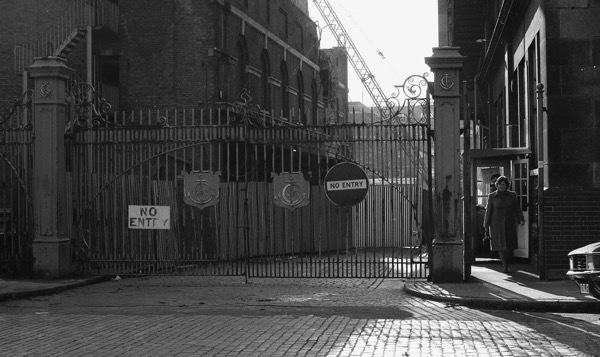 The reason why these breweries were sited in the East End was the underground water which was the secret of the beers. In these days of bottled water it is surprising that this water is down there untapped. Ind Coope had two breweries one at Romford and the other at Burton on Trent. A long goods train took large amounts of Romford water to Burton and came back full of Burton water as the different waters were the secret of their beers. I know this as a fact because as a child at Romford I found that if I placed a halfpenny on the railway line where the train left the brewery it would be flattened to the size of a penny which would fit the slot machines in the adjacent amusement arcade. I have a glass sign for Mann Crossman and Paulin which I found probably 30 years ago in my back garden. It is red and green and advertising brown ales. About 3 foot tall. Is anyone interested in purchasing it from me. Hi, I have found out that a ‘brewer’s motor driver’ lived in my house from 1911 . I assume this means he drove a car which sounds quite high tech for the era. I live in Enfield though he was born in Whitechapel. Any idea what that job title really means? My grandmother’s sister and her husband Aurther Chalkley, the manager of Mann and Crossman brewery lived in a house in the grounds of the brewery, I have fond childhood memories of Christmas holidays spent there.